Pictured Georgia horse trainer, Sergio Palomares-Guzman. Image via Gwinnett County Sheriff’s Office. Sergio Palomares-Guzman a Georgia horse trainer is indicted on animal cruelty charges after forcing a goat to ingest alcohol and narcotics. 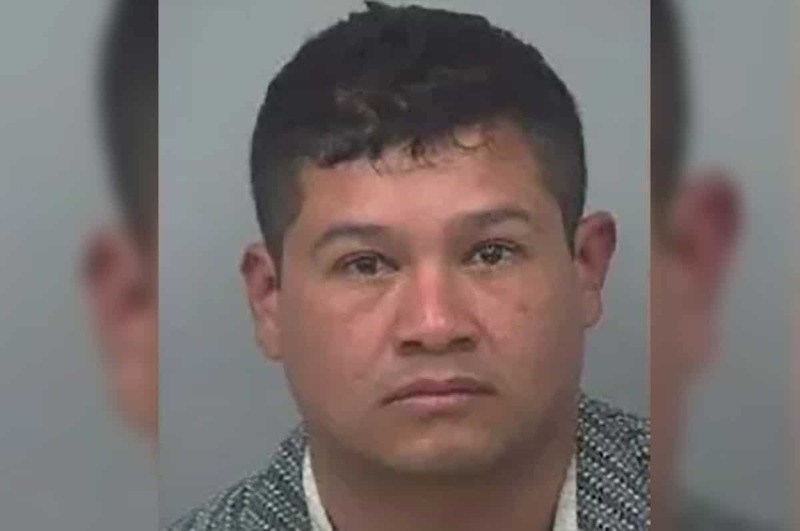 Sergio Palomares-Guzman a 28 year old Georgia party animal man has been charged with aggravated animal cruelty after participating in a ruse to force a goat (do you suppose…?) to ingest whiskey and cocaine. 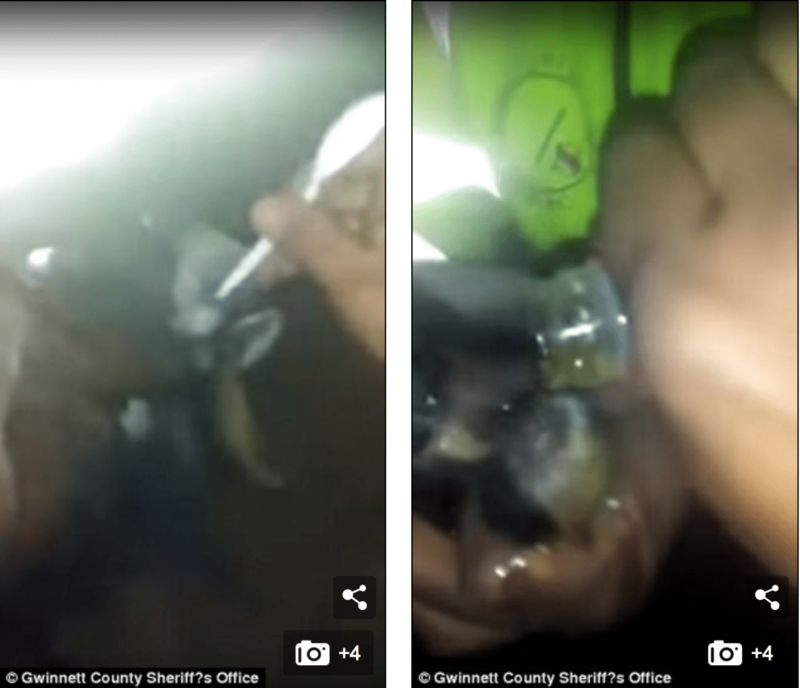 In a statement, the Gwinnett County Sheriff’s Office said Palomares-Guzman was arrested Feb. 15 in connection with a videotaped incident (see below) believed to be from January 2nd. Palomares-Guzman shared the video online, which ultimately prompted a tipster to notify authorities of the abuse. The sheriff’s office says Palomares-Guzman lived on a ranch where he worked as a horse trainer. The release says video shows him holding the goat’s horns and forcing its mouth open while another man gives it substances. That man and a third suspect remain unidentified. The video shows a goat being forced to stand still while one of the men brings a spoon with a white substance on it and pushing it above the animal’s nostril. Soon after the animal has its mouth forced open as a bottle of whiskey is then poured down the goat’s throat. All three men are heard audibly laughing as well continuing to swig back whiskey. Sergio Palomares-Guzman could face possible deportation. The sheriff’s office says the goat is healthy and has since been adopted. It’s unclear whether Palomares-Guzman has a lawyer. Online jail records say he remains in custody pending $11,200 bail. Latest updates include the man being subject to an Immigration and Customs Enforcement detainer, due to his alien status, according to the Sheriff’s Office. Investigators say the owner of the ranch who employed Palomares-Guzman had no knowledge of the incident. Sergio Palomares-Guzman seen with two other forcing a goat to ingest coke and booze.